Computer games are not all about shooting and stealing cars. If you pick the right kind of products your child’s computer game play can deliver substantial educational, developmental and even physical benefits. Below is a short guide to help you pick the right games to suit your children. Many games are based around seeing a moving object, identifying what it is and acting accordingly. 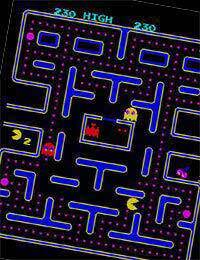 It might be a case of herding sheep or evading ghosts in the classic Pac Man but these games help to develop reaction times and improve coordination. Sports computer games similarly can improve eye hand coordination as players have to manoeuvre their ‘player’ or team around the field of play. Rather than just teaching kids to play computer games it seems that these enhanced skills stay with the player (child or adult) and can be applied in other areas of life. Strategic games, such as chess, have been used for years to develop reasoning, strategy and other forms of logical and lateral thinking. Many computer games work in the same way and can help to develop these strategic thinking skills through solving puzzles and cracking codes. These skills are useful in all areas of life but particularly for teaching kids different ways at looking at and solving an academic problem. Games that are set in fantasy and adventure ‘worlds’, as well as more traditional brain games such as chess and backgammon, can be played as single or multi player, on or offline. Many kids can spend hours (or even weeks) playing online chess with people on the other side of the world. By playing other people, rather than just playing against the computer, they learn how to identify other people’s strategies as well as developing their own. This is an invaluable skill for later life as it forms the foundation of negotiating skills. If you have sports mad kids hopefully they get the chance to play and compete at their favourite sports in real time rather than just on the computer. But some computer games can also help them to hone their sports skills, especially the new breed of physically interactive games consoles where the player actually goes through the motions rather than just pressing a button. Badminton players are encouraged to play fast action computer games as the process combines fast reactions and a light touch, much like Badminton. They become more alert to incoming stimulus and are able to control their reaction. For creative kids there are masses of interactive games to choose from, including music and film making software that coaches them through the process and leaves them with a finished piece of work.